Since Easter was so early this year and I was going to be taking my decor down after April 1 anyway I decided to kick off "birthday month" in our house by making a really festive mantle. I found this banner that I fell in love with and plan on using every year and when I was trying to figure out what I wanted to do on the mantle part I landed on a balloon garland. Yes ma'am. ... a couple packages of balloons (this multi-pack, this package of clear balloons and two packages of 9" balloons from Party City) and this pump and was good to go. 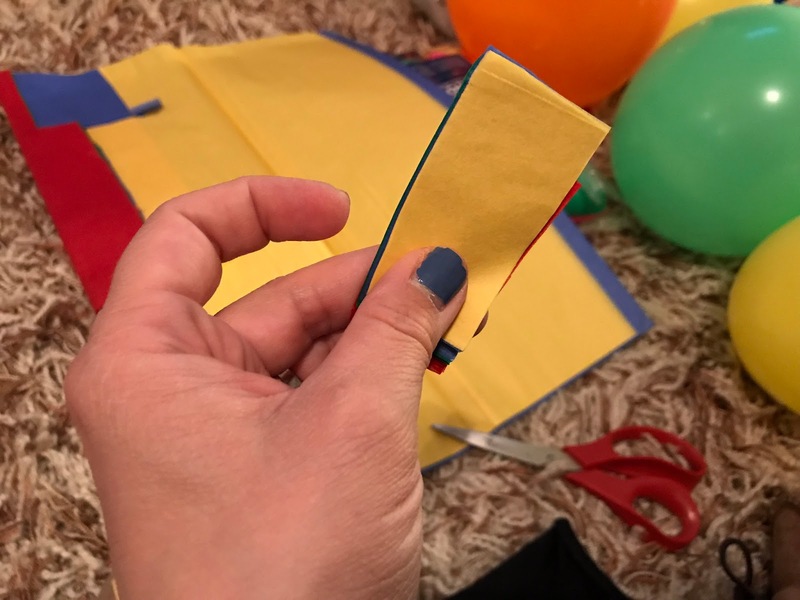 To make the confetti balloons I used a $2 package of tissue paper, cut it up into little squares/rectangles (multiple sheets at a time! ), rolled it up and then shoved as much as I could into the balloons BEFORE I blew them up. I used this balloon pump and it could not have been easier! I really don't know why we haven't bought one before this. I've always wanted to do the thing where you cover your kids floor in balloons on their birthday or have them taped to their door so when they open it up balloons fall in but have never been able to pull if off because who wants to blow up that many balloons?!?! Now the possibilities are endless! 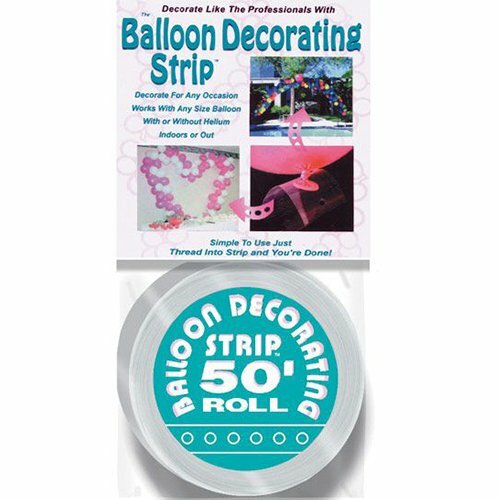 I intentionally blew the balloons up all different sizes and then attached them to the strip by just pulling the tail through the hole. 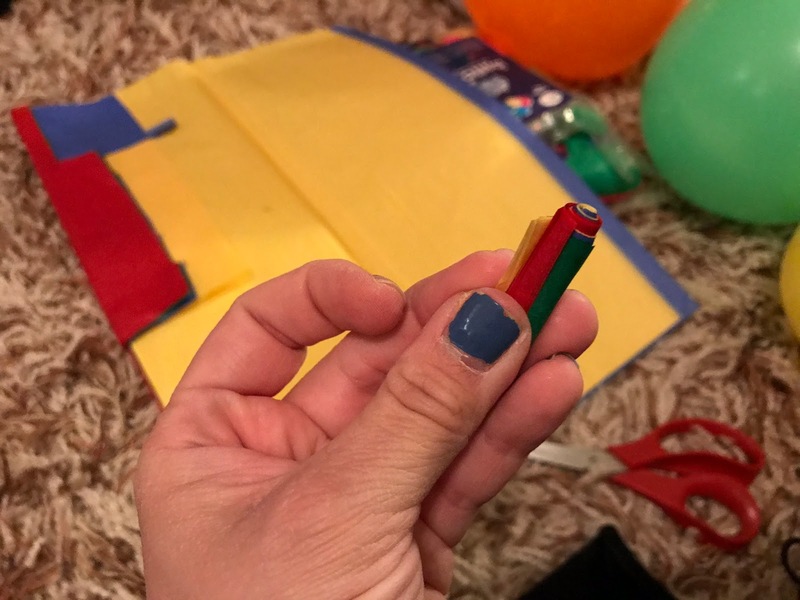 The picture below is from Google (because I didn't take an in-progress pic) and you can see how this person left several holes in between balloons - I put balloons in every other hole which created the super full look. The last thing I did once it was all up was fill in any little gaps with small balloons using tape rolls. SO STINKIN' EASY!!! I hope y'all have an awesome day and if you have any questions please let me know! Also - if you make one I'd love to see it! This balloon banner is so cute!! Those clear balloons with the tissue paper make a big impact! Great job, Friend! Super cute!! The first link for the banner didn’t work for me?? DEAD. I'm so impressed. So impressed, but not surprised. AMAZING. My girls have birthdays four days apart in May. I hope I can get my act in gear to execute this. 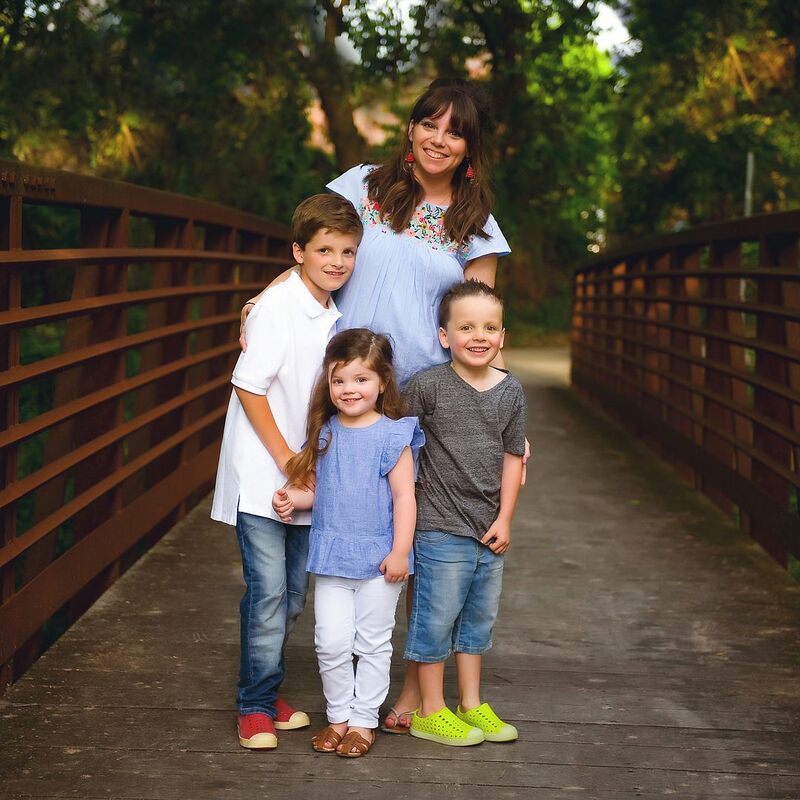 But. . .I am also an educator, and with the end of the school year and the fact that their birthdays land the week of baccalaureate and graduation (which I plan), I'm not sure I can make it happen. It looks awesome -- have fun celebrating your sweet kiddos! This is so cute and if I didn't have a lifelong, irrational fear of balloons I would totally be making it-EEK! This is fantastic. My kids have birthdays 3 weeks apart and my daughter is also turning 10 in July. I might do this over their doors. Thanks for the great idea and tutorial. Thank you for showing us how you made this. I thought your mantle was so festive! I've never thought to put confetti inside a balloon myself. They looked great! This is the COOLEST! I didn't know there was such a thing as balloon arch "helpers." Thanks for sharing! My son turns 10 next year and I think he would LOVE this! I'm also loving the confetti balloons- super cute idea! Do you think the balloons will stay blown up all month? Both of my kids have birthdays in June and I would love to do this for the whole month of June. Such a great idea and it looks awesome! This looks so great!! Will you let us know if the balloons hold up pretty well/stay blown up? So SO need to steal this idea! Love, love, love! I need to figure out a reason to make this! This is genius!! I'm totally going to have to do this....so much fun! I only have one baby left at home who would even fancy this so I better take advantage. Super helpful! I have been wanting to do a balloon banner. So cute, and it looks so easy! I definitely want to find a reason to this sometime. Wow, what a display! Love how it turned out. Thanks for this great idea. My sister's 20th birthday is today and I used this idea. I got white and silver balloons from Walmart for a more mature look and then added gold glitter numbers. We didn't need the whole 25' roll. I can tag you in my instagram photo so you can see how it came out. Amazing ideas! Thank an you so much. It was really helpful, it really help me to make my daughter’s birthday special. She love balloons, keep updating these creative ideas , I will definitely recommend to my all my friends.